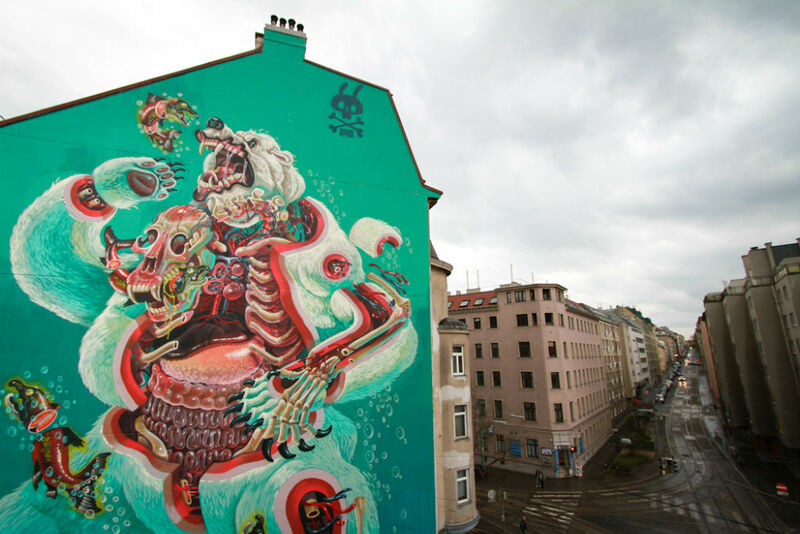 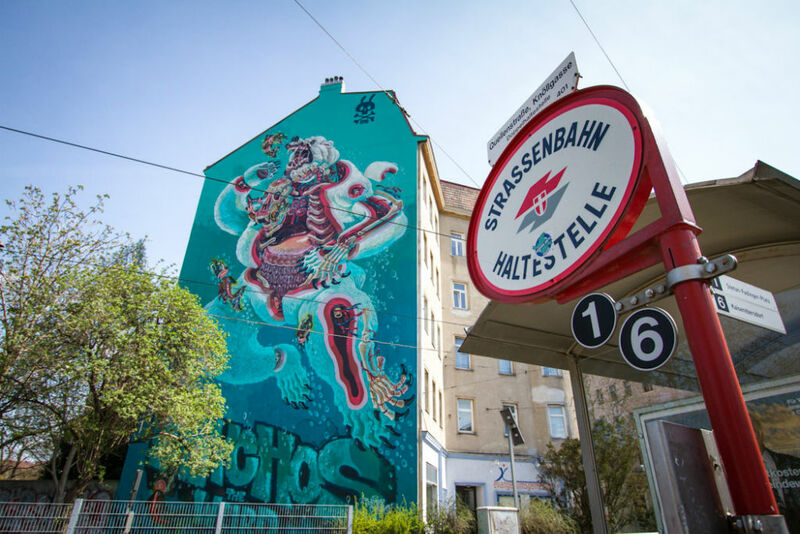 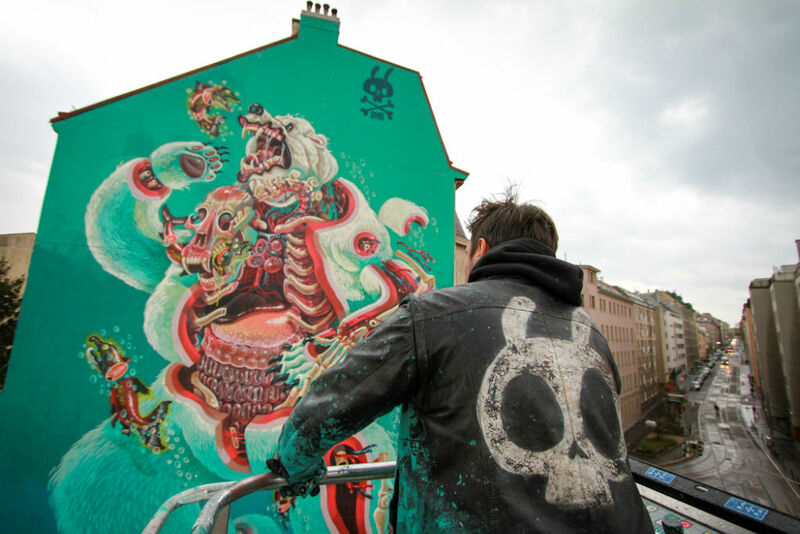 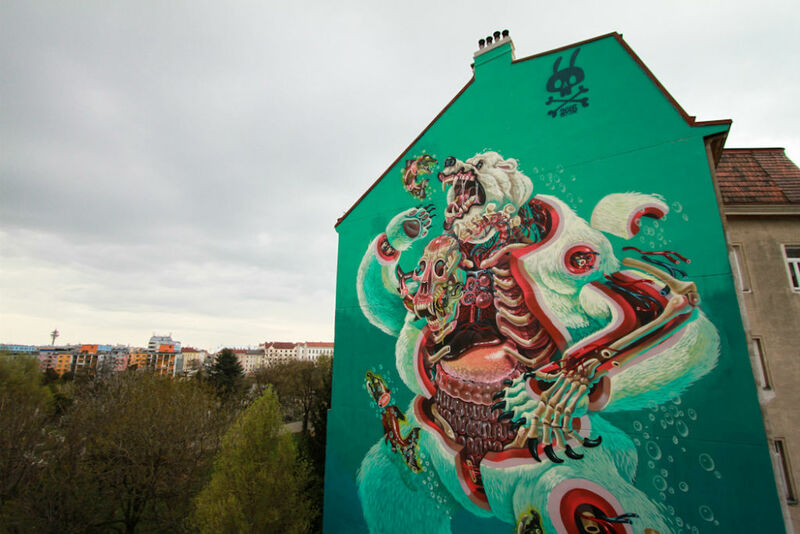 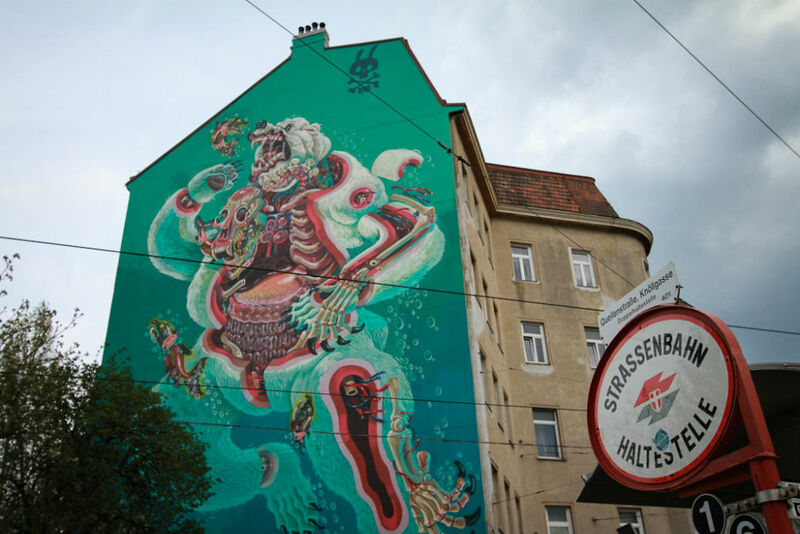 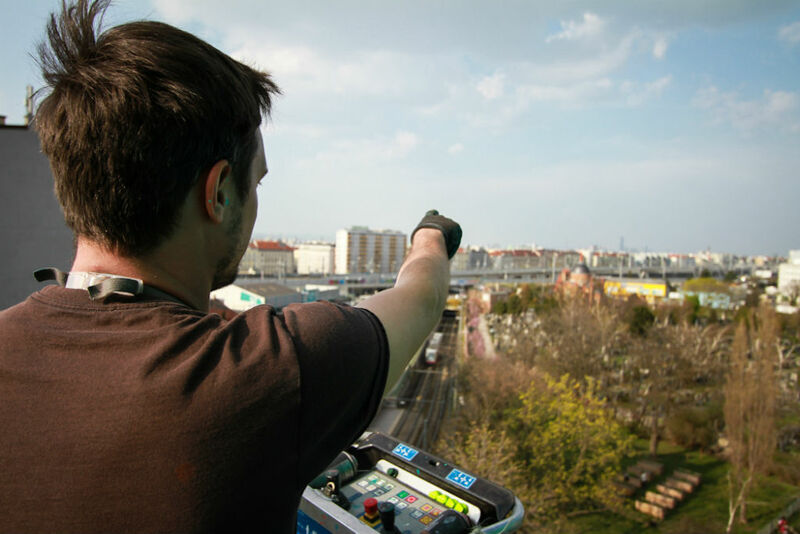 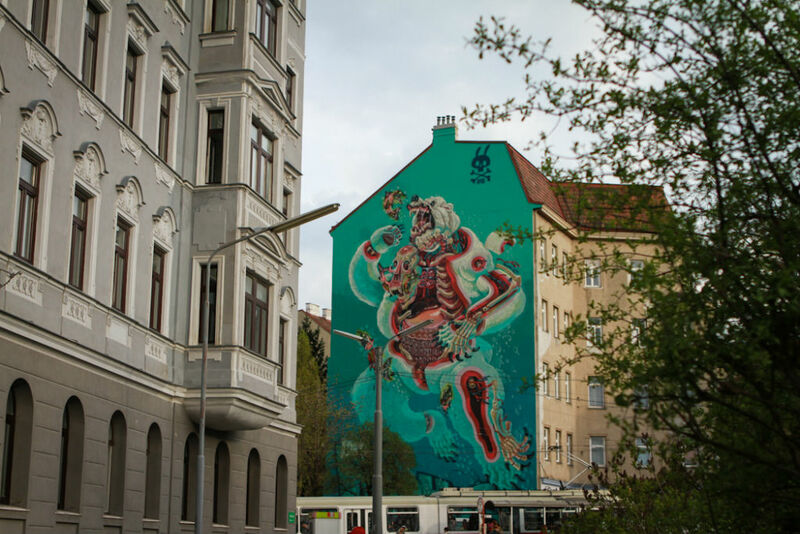 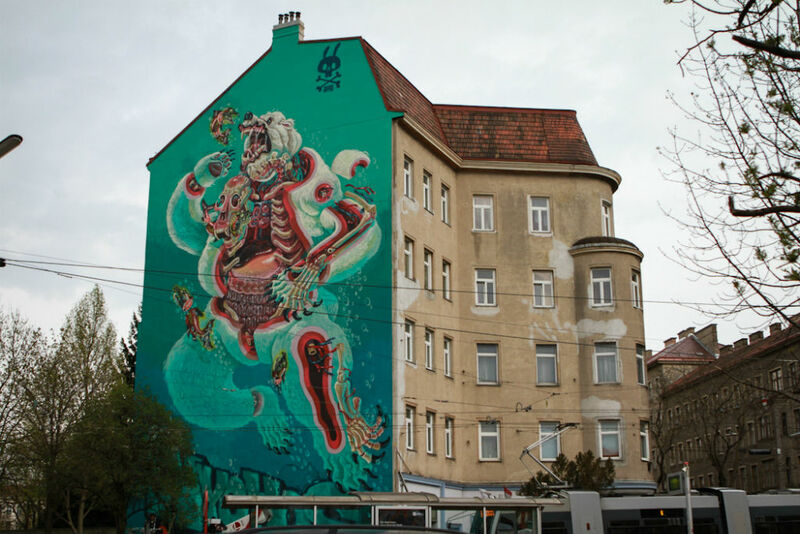 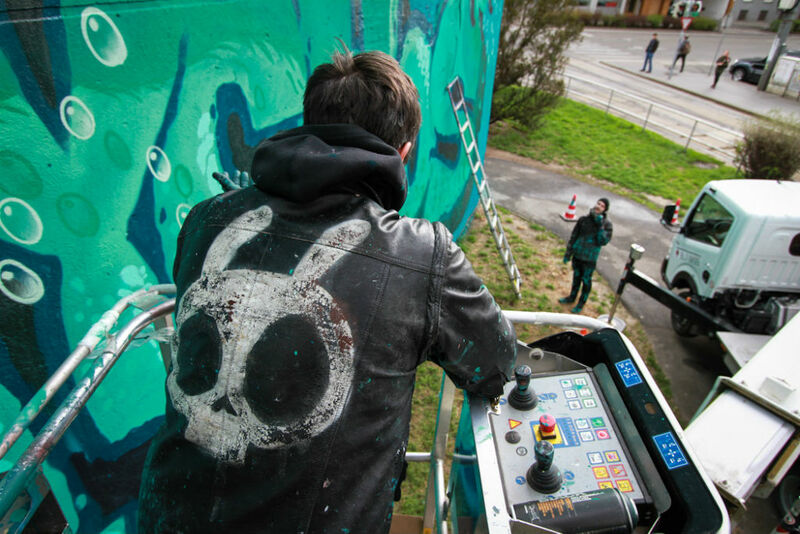 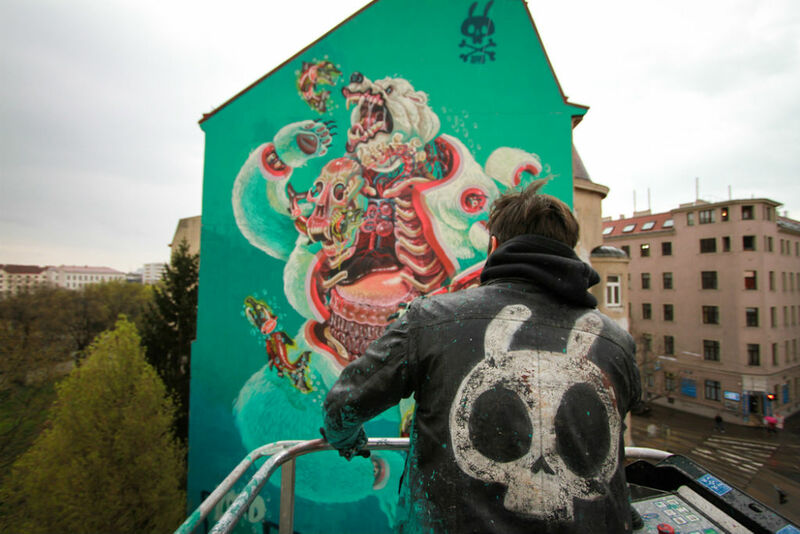 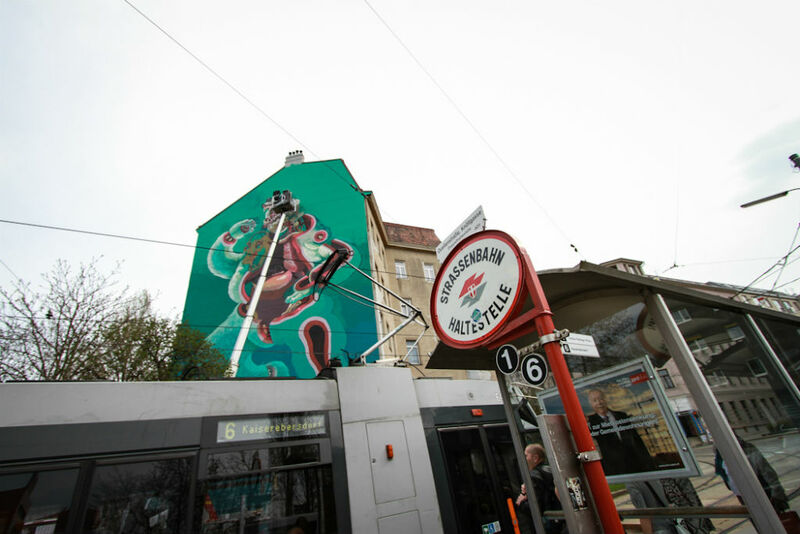 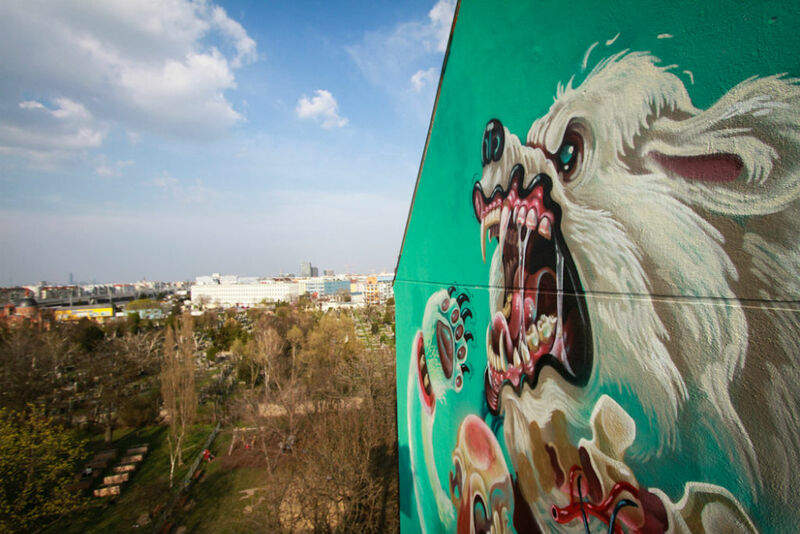 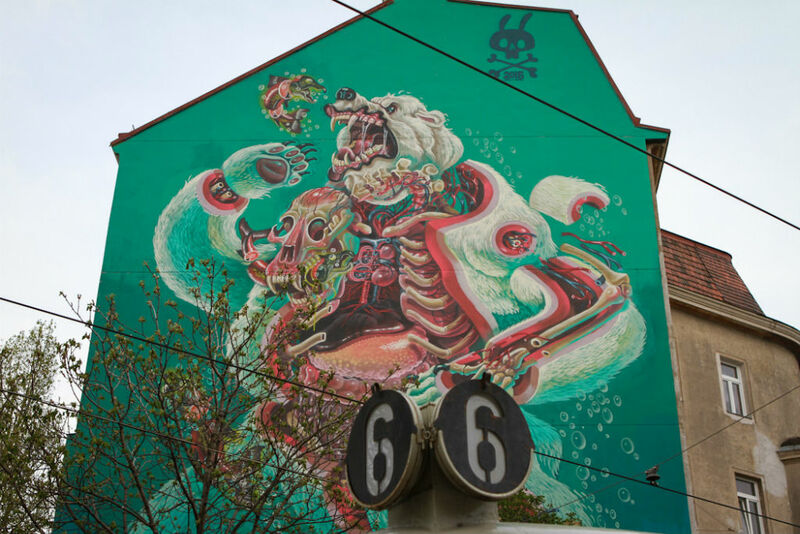 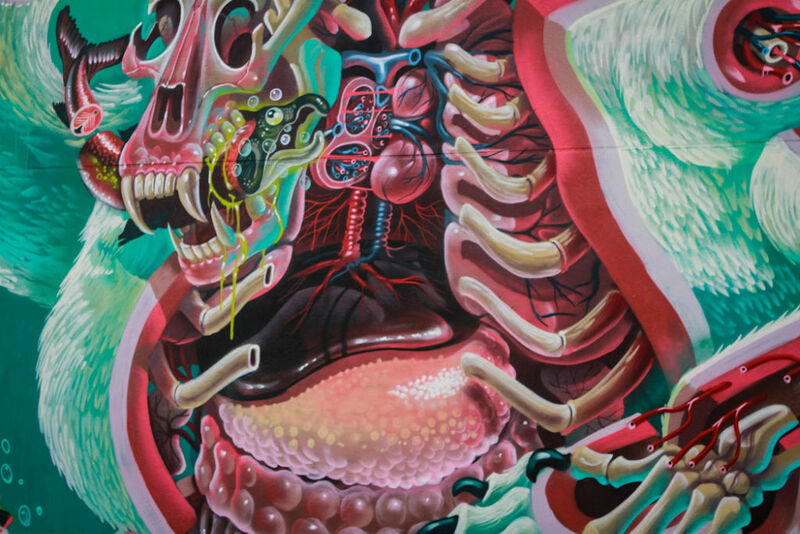 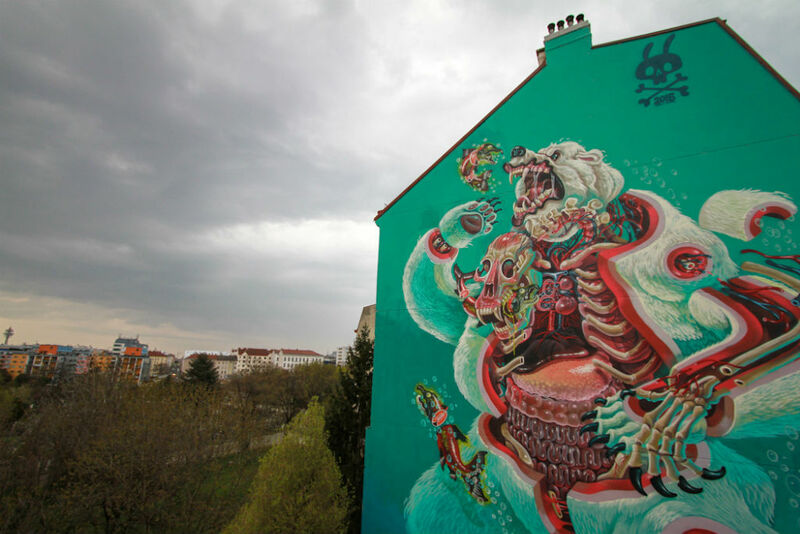 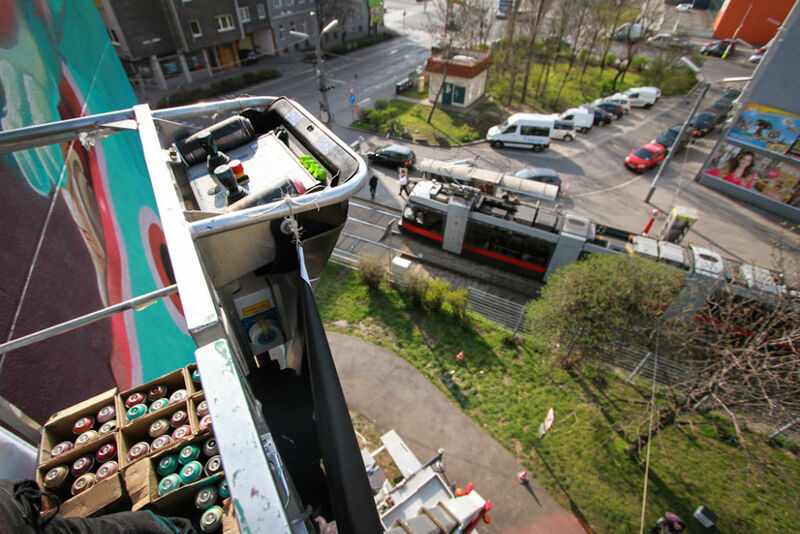 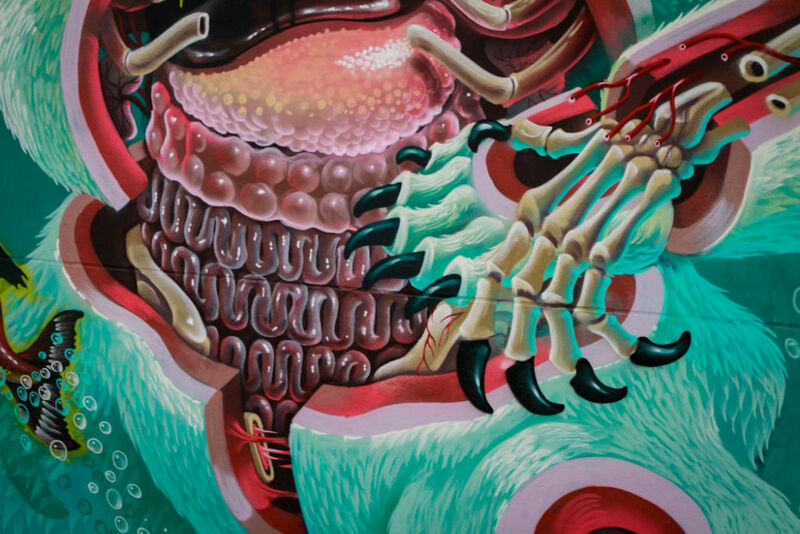 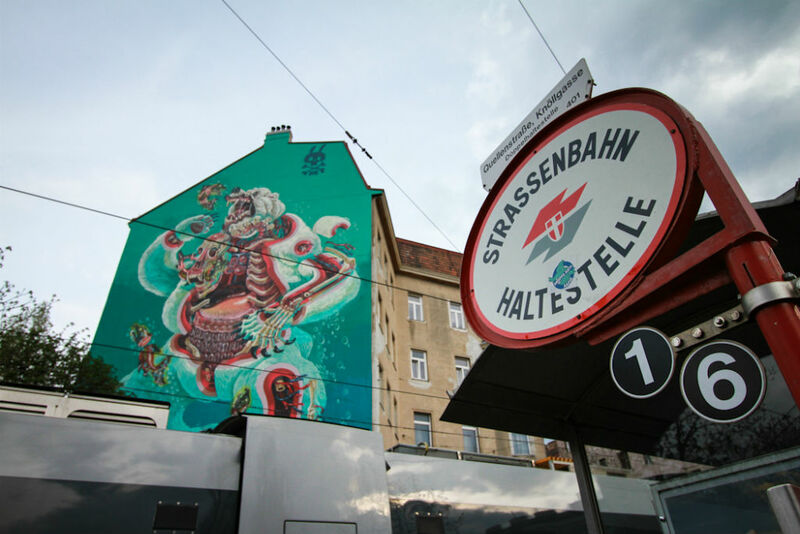 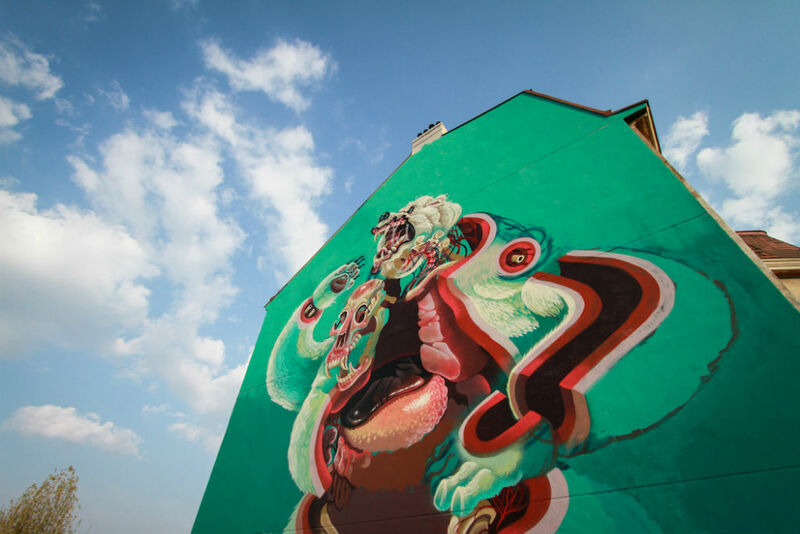 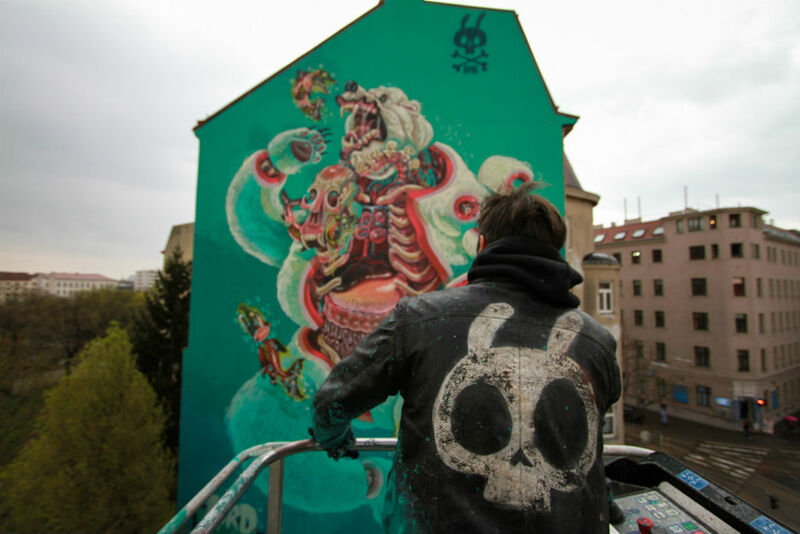 Dissecting a polar bear is a 4 day mission – at least that’s what NYCHOS proved last week in Vienna. 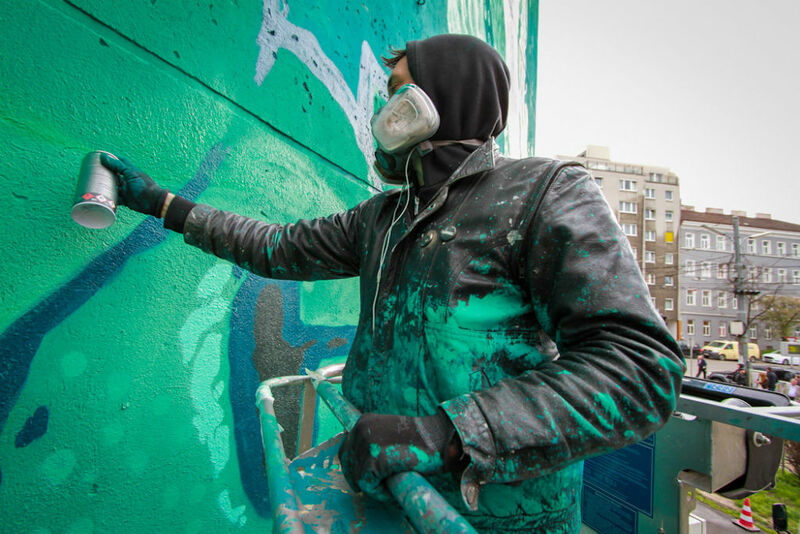 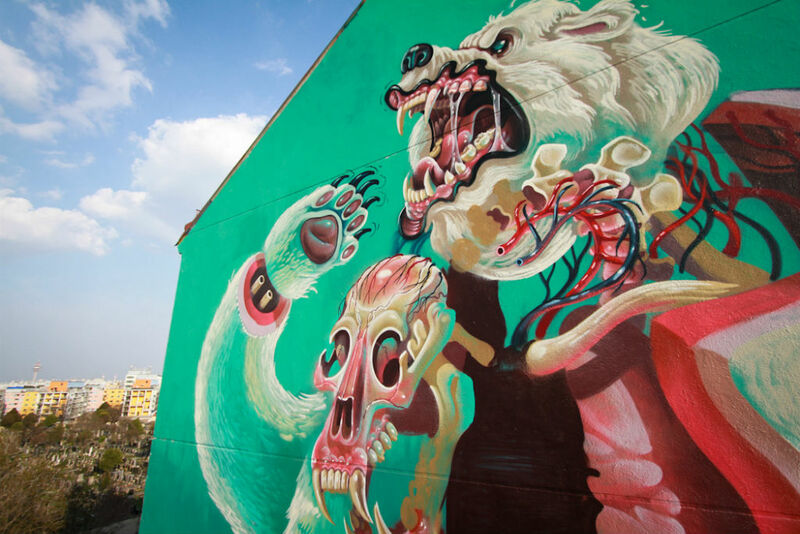 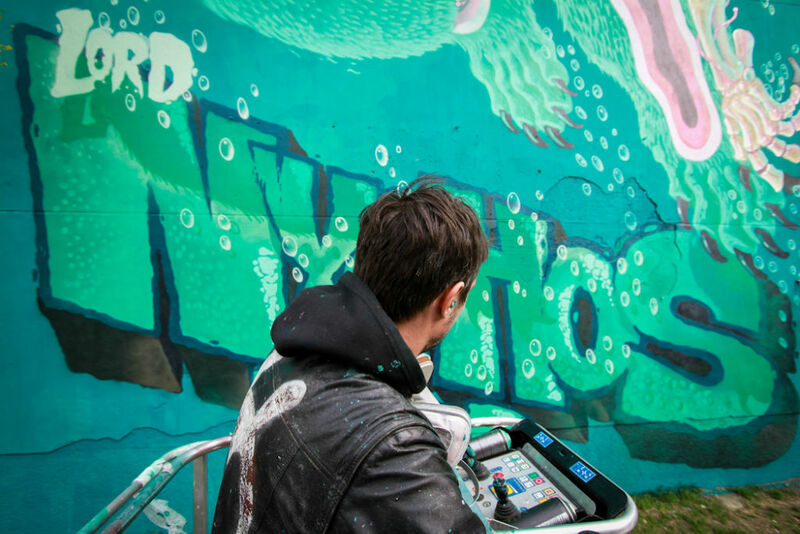 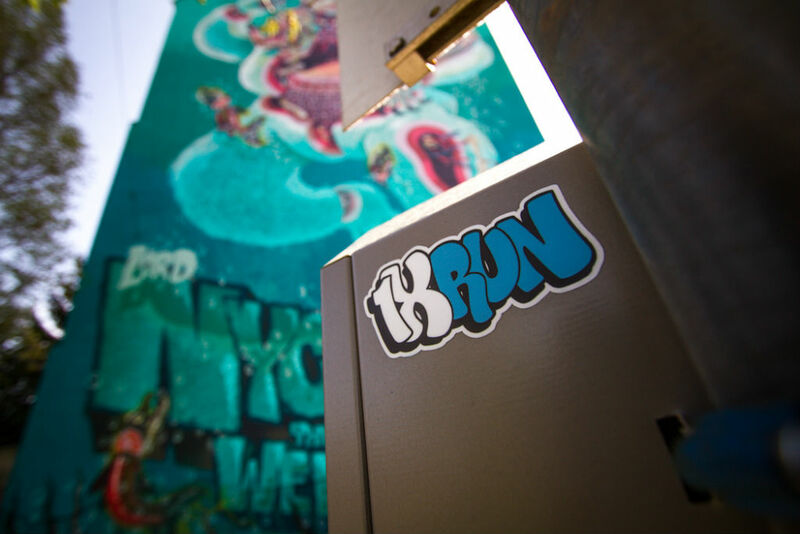 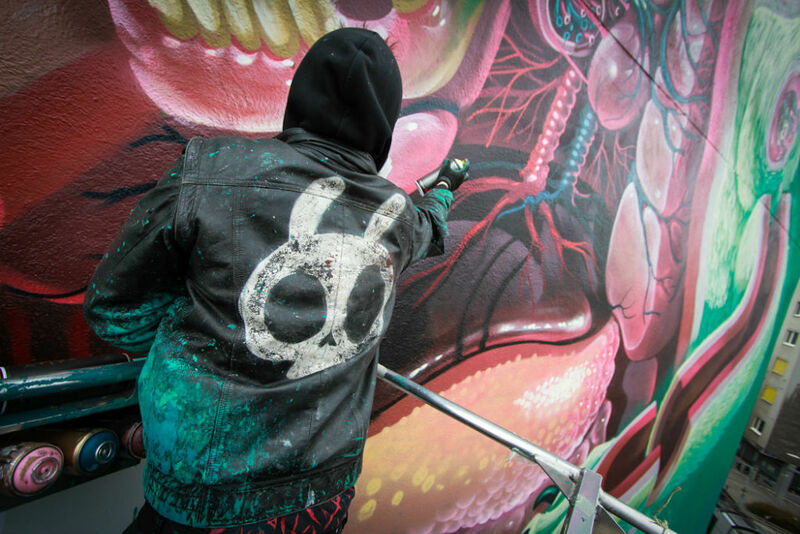 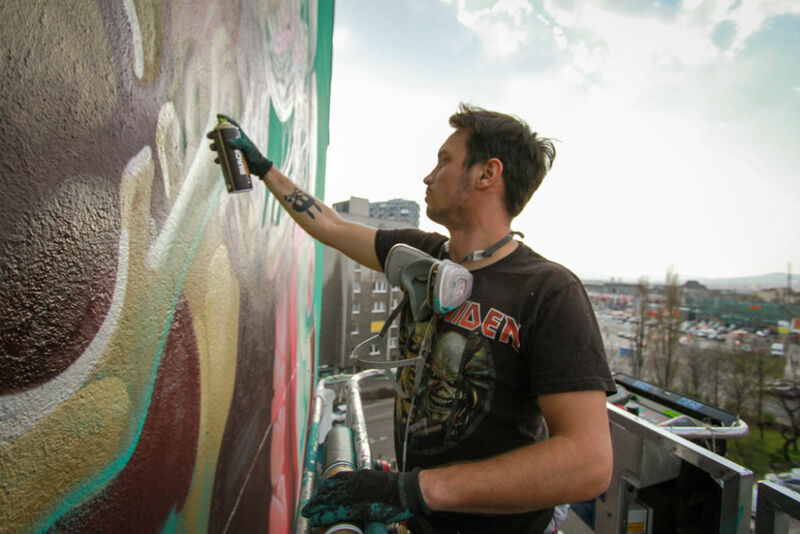 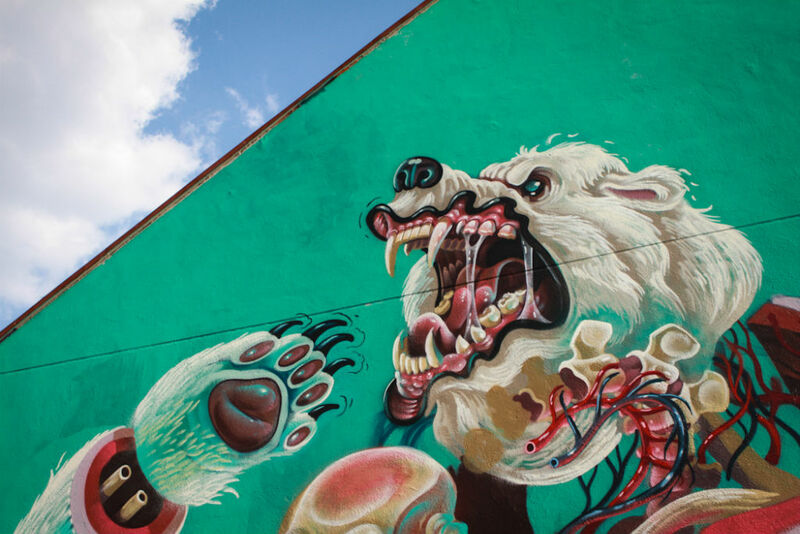 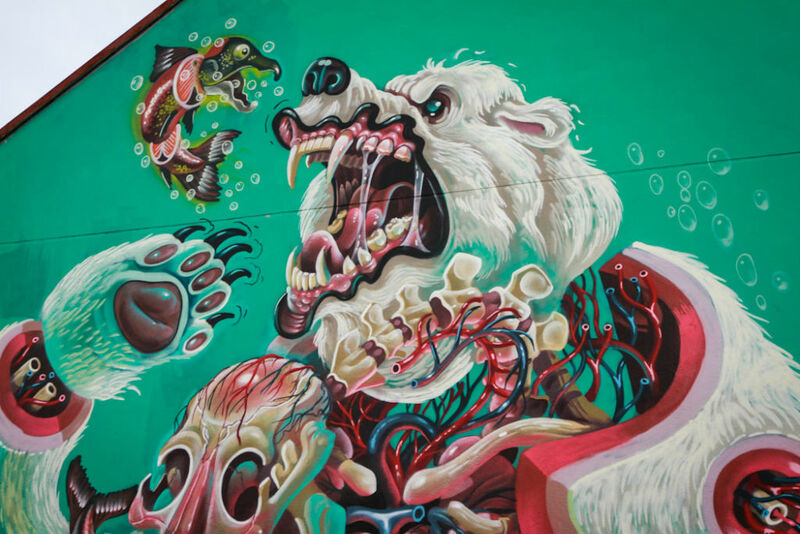 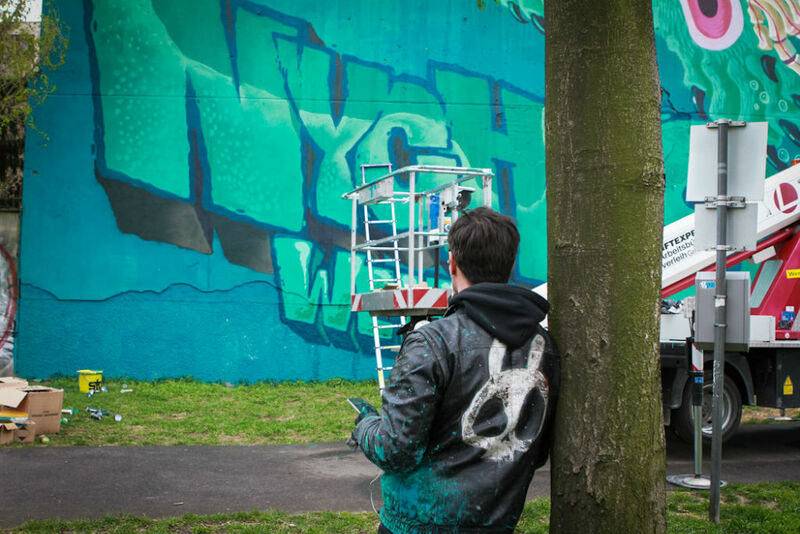 As part of our 10 YEAR ANNIVERSARY WEEKS and right before the world premiere of The Deepest Depths of the Burrow Nychos spray-painted a giant polar bear on a 24 meter wall. 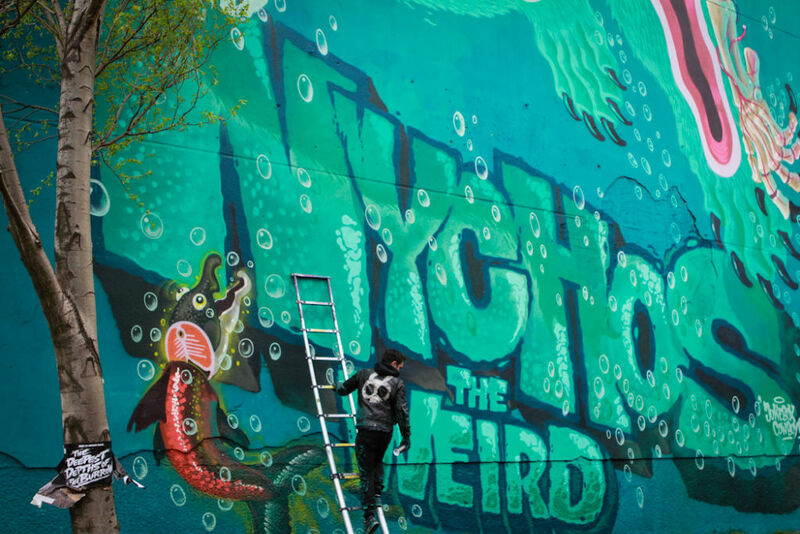 So far, it’s his largest mural in our home town. 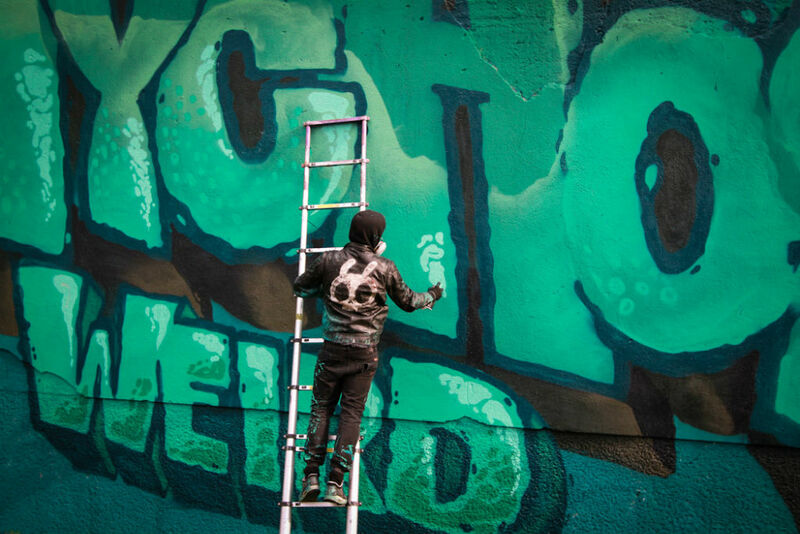 That’s what we call celebrating properly.